Pam discovered her athletic abilities while attending elementary school in the Arlington Park section of Dallas. Joining a track meet on the school’s dirt oval, she won all three of the races she entered and began her career as an athlete. Her father had played football both in college and the Air Force, and Pam began watching sports on television with her dad when she was still a little girl. When she was in high school, Oliver’s family moved to the town of Niceville in the western end of the Florida panhandle. At Niceville High School, she excelled in track, basketball, and tennis, performing so well in track that she earned a sports scholarship to Florida Agricultural and Mechanical University (FAMU) in Tallahassee. Even as a child, Oliver preferred watching sports and news programs to children’s shows on TV. “I was a television news junkie. I would plan everything around the news,” she told YSB. By age three, Oliver had envisioned herself in a successful career, rather than in the more traditional role of wife and mother. She had seen both of her sisters marry after high school and determined that she would go to college. She was especially interested in becoming a reporter because those she’d seen on television seemed “cool,” as she commented to YSB. She chose to attend FAMU, which had been founded on October 3, 1887, as the State Normal College for Colored Students, because it was an historically black college. After a childhood isolated by the constant moving required by her father’s military career, and graduating from the largely white Niceville High School, Oliver wanted to attend a predominantly black college. As she told Ernie Suggs in the September 30, 2002, Knight-Ridder/Tribune article, “; I needed a genuine black experience.” Her early days at FAMU were not easy, however. Oliver’s accent and viewpoint set her apart from those who had been raised within black communities, and she found it hard at first to find friendship and acceptance. However, she soon began to flourish at FAMU. For her academic career, Oliver chose FAMU’s school of journalism. Her course work was demanding, with an emphasis on excellence in writing and interviewing skills which would become hallmarks of Oliver’s broadcasting career. graduation, she took a sales job at a department store cosmetics counter while volunteering as a community affairs reporter at the local public access television station. Former teachers at FAMU suggested she apply for a job as a news reporter at Albany, Georgia’s WALB-TV. She got the job and moved to Georgia. Finally, the manager of WTVT-TV in Tampa offered her a job in sports, even though many thought it was step down from her work on the news. She continued to work the sports desk at her next job, at Houston’s KHOU-TV. It was there she attracted the notice of the national cable sports network, ESPN, which hired her as a sportscaster in 1993. In 1995, Oliver’s career took another leap forward when she was hired by Fox Sports, another national cable sports network. Working for the Atlanta-based station, she continued her excellence in sports broadcasting, anchoring Southern Sports Report and Southern Sports Tonight, as well as appearing as sideline anchor for all National Football League (NFL) broadcasts. 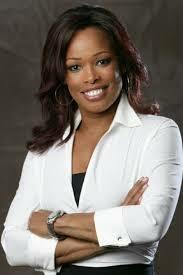 In 2005 she reported on the sidelines for the National Basketball Association Playoffs. Her thorough knowledge of the game, her respect for the players, and her sharp interviewing skills have led experts like Rudy Mortzke of USAToday to rate her as one of the top female sports broadcasters. Though Oliver’s work on cable television has made her face famous, she has little desire to take part in the celebrity social scene. She has not forgotten the skills she learned at FAMU, and she has continued to return there periodically to serve as “journalist in residence,” offering her experiences to help the next generation of students. In addition, she also has mentored and supported other athletes who aspire to become sports journalists, such as Chuck Smith, who formerly played defensive end for the Atlanta Falcons.